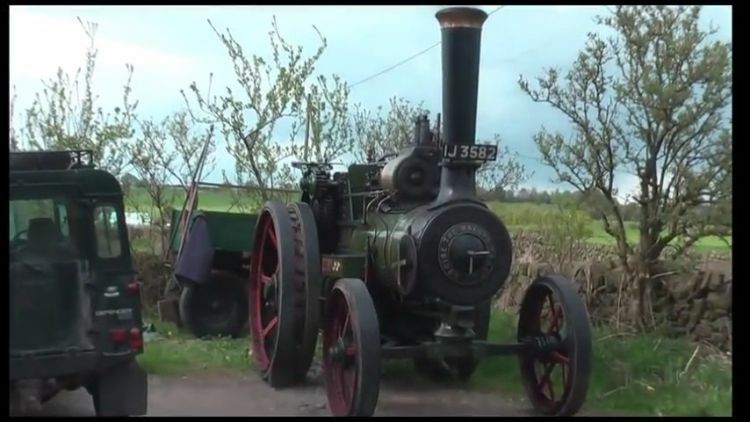 See a 1919 traction engine by Wallis & Steevens as it makes it way to the Cauldon Lowe Vintage Festival, an annual event held in the U.K. every May where guests can view vintage vehicles, such as the steam tractor “Eileen the Erring” featured in this video. While Eileen appears to be a bit of an anachronism, sharing paved roads with modern automobiles, it speaks to an amazing feat of engineering that nearly 100 years later. Wallis & Steevens’ 7-horsepower 10-ton traction engine is still going strong! In the late 1860s, Wallis & Steevens began producing 4 and 8 horsepower engines which they debuted at the Royal Agricultural Show. Their first traction engine was built in 1877 according to Steam Scenes, was dubbed “Success” and assigned the model number T250. It had a single 8-horsepower engine. It wasn’t until 1890 that the company manufactured their first self-propelled steam engine road roller, a 6-horsepower traction engine that could be converted to a road roller. In 1891, they began developing rollers with low steam pressure, and by 1893, they were producing road breakers with 10- and 15-ton rollers. These machines would go on to be known as road locomotives for their resemblance to railway locomotives. By 1919, when “Eileen” was produced, the company was already producing vehicles that could haul as much as 120 tons. Traction engines such as the one seen in the video were most popular in agricultural areas, where they could be used for moving heavy loads, or as a power source. Even if a farmer was not able to purchase a much-needed thresher, threshing contractors would often bring the threshers to them via the traction engine. That thresher could then be powered by the same traction engine. Additionally, the traction engine could easily double for transporting crops to a selling hub. You can see the full video below. Please SHARE if you're a fan of vintage tractors.